Can you believe all 685 Western Australians will be onsite at the Jamboree in just 21 days! This email contains lots of vital information for your Jamboree experience. Please ensure you carefully read through this message so you are up to date! In this update your find a link to the Jamboree Passport. 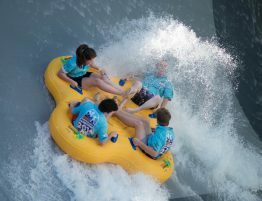 As you read about the incredible program of activities planned for AJ2019, you will realise this will be 10 days of extreme fun – from the spectacle of the Opening Ceremony it will be non-stop action and excitement. 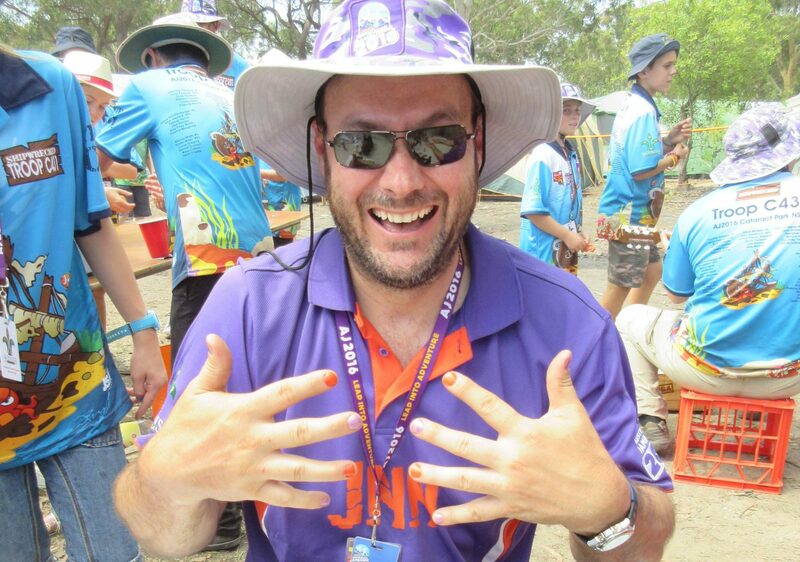 Huge congratulations to Jarrad Tutt from Cape Naturaliste Scout Group who has won our Contingent Badge competition! 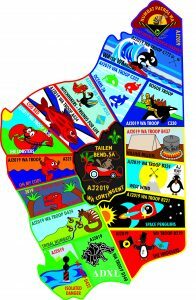 Our Contingent Badge is right in the middle of our WA badge set, which includes all 15 Troop badges and the Service/Activity Leader badge. Jarrad has scored a UE boom speaker and a portable power bank to supplement his Jamboree adventure! 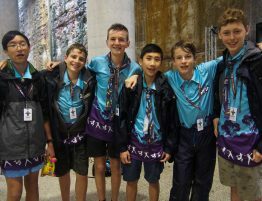 Each Scout will receive eight (8) Western Australia Contingent Badges to swap with Scouts from other contingents. You’ll also receive enough of your own Troop badges to collect the full set! only purchase badges at authorised sale points such as Contingent HQs. Please ensure medical details are up to date in the online application system. The Jamboree will be able to cater for any special dietary requirements, so long as the current details are accurately entered in the online application system. Please also double check the ‘next of kin’ tab in the online application system to ensure that contact details are provided for a person that will be available during the Jamboree. Don’t provide details of people who will be overseas during the Jamboree. Scouts who have glasses may also consider bringing along a second pair in case their primary set are damaged – it can be difficult to obtain prescription glasses at short notice while travelling. Following feedback, we have revised the dress code for travel to and from the Jamboree. From Jamboree: Western Australia Contingent shirt with state scarf and navy blue pants/shorts OR full Scout uniform with Western Australia state scarf (if Scout has misplaced or swapped their Contingent shirt). Flight times for all Jamboree participants have now been loaded onto the ‘Contingent’ tab in the online application system. Bus times and numbers have also been loaded onto the ‘Contingent’ tab. Take note of your bus number to ensure a smooth transition at Adelaide airport. For Scouts and leaders allocated to a Jamboree Troop, your bus number is your Troop number. For those not allocated to a Jamboree Troop, check your bus number on the ‘Contingent’ tab of the application system. Accommodation and airport transfers for regional Contingent members (those located in Albany, Esperance, Geraldton, Karratha, and Newman) arriving in Perth on 2 January 2019 and departing Perth on 15 January 2019 is being arranged. Our Transport Director Matt Siddell will be in contact with you directly regarding final arrangements. 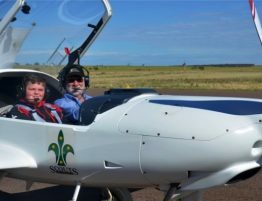 Scouts should arrive at Perth Airport two (2) hours prior to their scheduled departure on 3 January 2019. Scout arrives and has name checked off list by Jamboree Troop Leader. Scout and parent/guardian hands over medication and updated health form to Troop Welfare Leader. Scout checks into flight and obtains boarding pass using self-serve terminals at airport, with assistance from parent/guardian. Scout checks in luggage using self-serve terminal, with assistance from parent/guardian. Scout and parent/guardian farewell each other. Scout proceeds through security under supervision of Jamboree Troop Leader. To assist leaders in ushering Scouts through the airport to the flight gate, parents are requested to not accompany their Scout through airport security. You may have read in the media that airlines have started to enforce carry-on baggage limits on Australian domestic flights. Please ensure your Scout’s carry-on bag is 7kg or less. Each Scout has one (1) checked bag – this bag must be less than 20kg. Families will be invoiced after the Jamboree for any oversized baggage charges imposed by airlines. Been wondering what you’ll need to take to AJ2019? Check out the suggested gear list. Your Jamboree Troop Leader will shortly provide details of your Troop bank account. Parents/guardians will then be able to deposit pocket money into the bank account. Once a deposit has been made, parents/guardians should email their Jamboree Troop Leader with the amount deposited into the bank account so a balance can be kept for each Scout. Leaders in each Troop will manage distribution of pocket money from the Troop bank account. There will be an ATM at the Jamboree site should Scouts wish to use their own personal debit card. We have been advised that there will only be one (1) ATM at the Jamboree site and that there will be a transaction fee of around $2.50. For pocket money deposited into Troop bank accounts and subsequently withdrawn from the onsite ATM by Troop leaders, the WA Contingent will cover the cost of the ATM transaction fees. Check out the link to learn how you can achieve Stage 4 of OAS – Camping! We will have copies for you at The Bend. Learn all about the new program at the Scouts Australia space in the Allawah Mall @ AJ2019. 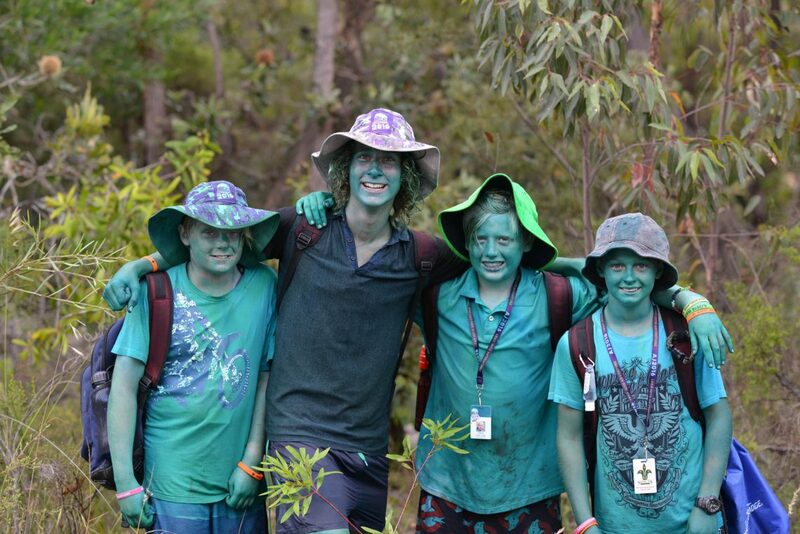 You can contact the WA Contingent Headquarters at the Jamboree on (08) 7534 6103. 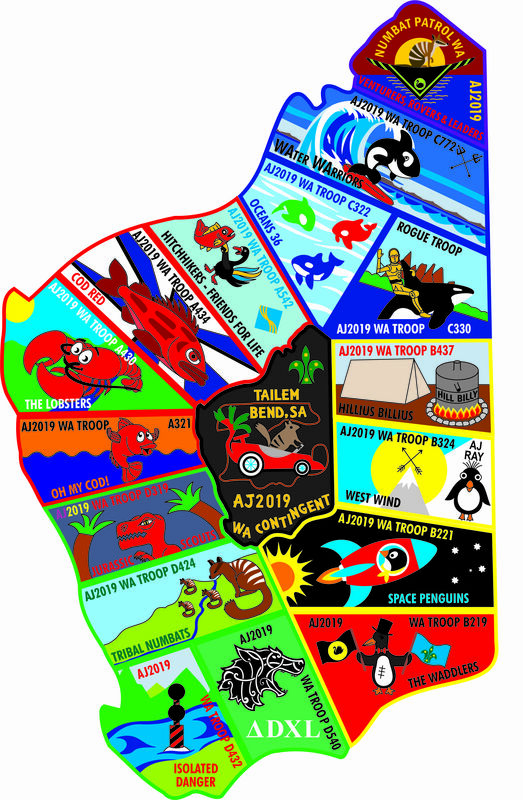 Our South Australian friends have released the Jamboree Passport. 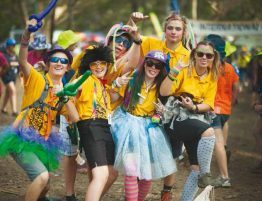 It details all the need to know info to help Scouts get the most out of the Jamboree adventure while in South Australia. Scouts will receive a hardcopy when they arrive in Adelaide, but help them to be prepared by reading it with them prior to departing for the Jamboree. Most of the information you need to know is in the Scout and Parent InfoBook. If you still have questions, contact your Jamboree Troop Leader. 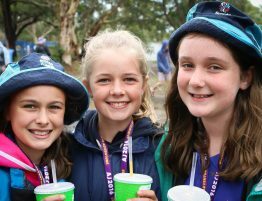 If you are not allocated to a Jamboree Troop, send an email to admin.aj2019@scoutswa.com.au. On behalf of the Jamboree team, I’d like to wish you all the best for the festive season. A special thanks to the amazing team of 150 volunteers who have worked tirelessly to prepare our Scouts for AJ2019!